In order to keep all workers safe on a construction site, it is of vital importance that all structures are stable and structurally supported. A shoring erection is one of the most common methods for stabilizing a potentially hazardous construction area. A company that offers shoring systems near Washington, D.C. can advise you on the right type of shoring for your specific project. To highlight the benefits of a shoring erection, here is an overview of some of the most common uses of shoring. Shoring is often used to stabilize structures that have been deemed unsafe or at risk of failure. When a building’s foundation settles or begins to crack with age, it may be at risk of falling dangerously and unexpectedly. A shoring installation will be used to prop up the damaged sections of the building and keep workers safe from potential harm. 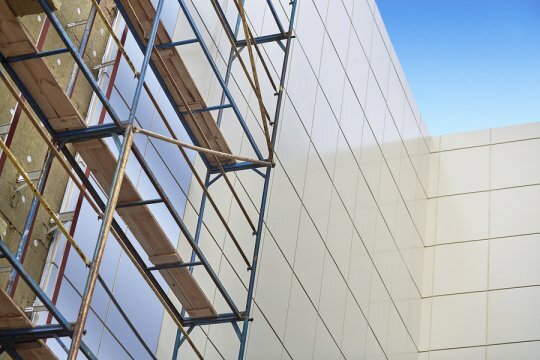 Even the most stable and well-constructed buildings may become compromised during a renovation or alteration project. Whenever a building’s load-bearing walls or underpinnings are taken out during a renovation, it is necessary to erect a shoring system. The shoring will be used to safely stabilize the affected area while the renovation process is being completed. Underground construction projects require additional safety measures to prevent hazard and harm to workers. When a tunnel is being constructed, a contractor may use shoring to make sure that the opening of the tunnel is supported and protected from accidental collapse. When shoring is used during tunnel projects, it can help save lives. To set up a shoring rental for your upcoming project in Washington, D.C., contact Scaffold Resource . 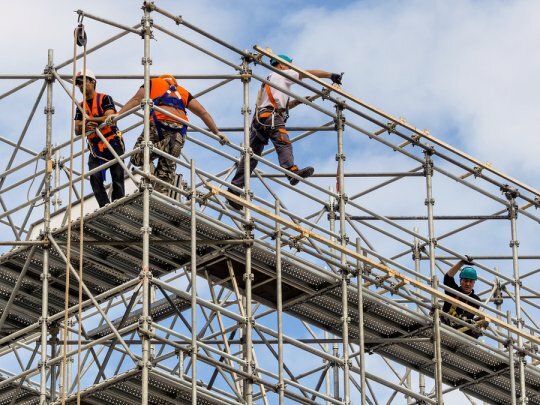 For more than 40 years, we have provided our customers with scaffolding and shoring solutions that are safe, stable, and secure. For more information about the advantages of working with our scaffold and shoring company, be sure to give us a call at (301) 924-7223. Are you a business owner who is looking to rent a shoring system ? It is important for businesses interested in shoring to understand a few of the key factors involved in a shoring rental. Read on to learn more about shoring and the process of renting a shoring system. It is important to do your research before choosing to rent a shoring system from any equipment rental company. 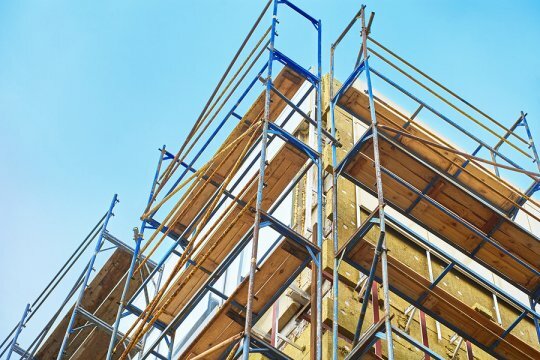 After all, the supplies and equipment you rent from them will be responsible for maintaining the structure of your building project and providing a foundation for scaffolding. Thus, it is essential that the rental company you choose uses high-quality products, maintains its equipment to specific safety standards, and is run by knowledgeable and experienced individuals. Go with a company that is committed to providing you constant support for any issues that arise, and always keep in mind that safety is more important than saving a little cash. Before you start contacting equipment rental companies, it’s best to get a solid idea of the specific materials that you will need for your project. That way, you can be sure that the companies you are conversing with have everything you need to get the job done. Make a list of all the supplies and equipment your project requires, and then contact the rental companies that offer these pieces along with good customer service and an affordable pricing system. Some equipment rental companies may be able to offer you discounts on long-term shoring rentals. Their answer will likely depend on the length of time you’ll be renting for and the company’s availability. If you need scaffolding in addition to shoring, don’t forget to mention this when discussing rental prices. If your business is considering renting a shoring system near Washington, D.C., Scaffold Resource has everything you need to get started. Contact us at (301) 924-7223 today for more information about our shoring resources , rentals, and related services. Underground shoring is usually one of the most important safety considerations for any construction project in which building or trench collapse is a concern. Shoring is used for projects big and small whenever there is a concern for worker safety. Some of the common types of projects that require shoring systems include load-bearing structure replacement/restoration, tunnel excavation, and multi-story building construction. In this article we will look specifically at underground shoring safety. If you need any type of shoring erection, consult with a construction shoring provider in Washington, D.C.
First and foremost, consult with professional shoring engineers and planners to determine the specific shoring requirements for your project. No two trenching or excavation projects are similar, and a multitude of factors need to be considered to guarantee the safety of your workers and the success of your underground construction project. As a construction project manager, you are often asked to minimize costs wherever and whenever possible. However, cutting corners when it comes to your shoring system is not advisable for any reason. High quality shoring systems are worth every penny and can end up saving you a lot of time and money in the long run compared to shoddy shoring equipment that can fail and endanger worker safety and razor-thin project timelines and profitability margins. Before your workers are allowed to use any shoring equipment, make sure they have received proper training and are confident in the safe and recommended use of underground shoring systems. Ask your shoring rental provider to schedule a training seminar or certification class for your employees so they understand how to use the equipment you are renting. Since 1996, Scaffold Resource has offered reliable shoring rental and erection services in Washington, D.C. and surrounding areas of Maryland and Virginia. Visit our website to learn why we are the go-to resource for construction shoring, no matter how big or small the project. If you have questions about shoring or scaffolding rentals, call us at (301) 924-7223. Every year, between 40 and 60 construction workers are killed as a result of accidents related to excavation projects. A shoring system is designed to prevent accidents from happening, but it must be installed properly to be effective. By obtaining a shoring system from a company that specializes in scaffolding serving Washington, D.C. and installing it correctly, you can reduce the risks associated with doing an excavation. Watch this video to learn some very valuable shoring safety tips. It will show you how to set up a shoring system and provide you with information about what you should do before and after a shoring rental has been installed in order to protect those who will be completing an excavation. Do you need help setting up a shoring system on your excavation site? Call Scaffold Resource at (301) 924-7223 to find out how to rent a shoring system today.